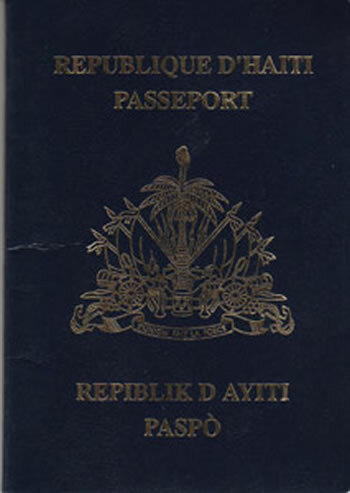 Before you take a trip to or from Haiti, do yourself a favor and make sure your passport is not expired or close to it. My wife just went to Haiti, and she forgot to check her passport. She had go get Haitian ID Card, I had to send her birth certificate before she can have a new passport made. Plus, I have to spend a minimum $200 for her and my son in order to change her airline reservation. Yes, The fee is $100 per person to change your reservation now - If you make that mistake, American Airlines will be very happy. "Your Haitian passport must be valid for at least 6 months before you decide to travel. If not, you must get a new one or you will have no choice wait in Haiti for a new one." « Actress Vanessa Williams in a Haitian event? @Tatou! Who cares about proper English; who cares other nationalities are reading this blog. This is the problem I have with Haitian like you always want to be recognized as better than other. Who are you to have an inclination to school people how to write on a public site.You sound ignorant for saying that. So, you are telling me that if somebody having an opinion about a subject on this blog and their English is not grammatically corrected therefore they have to go school and learn the proper English and comeback to write a comment with proper English. It takes a minute to have a crush on someone, an hour to like someone and a day to love someone. Thank you and looking for more posts. Your article very interesting, I have introduced a lot of friends look at this article, the content of the articles there will be a lot of attractive people to appreciate, I have to thank you for such an article. i have an Haitian passport that is expired i need to renew it where do i go? Hello, I leave in Fort Myers Florida, My passport is expired and I need to renew it, do we have a place in that area to change it? Whenever you have an expired document in your hands, it means an invalid document! It does not matter where you from or where you live or rather where you are going to! I was blocked with an expired Bahamian travel document in the Dominican Republic. They would not let me go back home! We, as Haitian or citizens of other countries, need to change our attitude towards the Law. We need to abide by the Law and not try to become a law unto ourselves. Please do us all Haitians and Haitian-Americans a favor-- Learn to write the English language properly before you post a comment online.